uMshwathi Municipality is ideally situated within the uMgungundlovu District Municipality immediately adjacent to Pietermaritzburg. uMshwathi comprises of four major urban centres (New Hanover, Wartburg, Dalton, and Cool Air) as well as rural residential settlements of Swayimane, Mpolweni, Thokozani and Ozwathini. uMshwati covers an area of about 1 811 km2. The local municipality is situated in an area which was largely under the control of tribal authorities until very recently. However, in the remaining portion there are towns built by German immigrants some 150 years ago. In the 1850s, 13 'cotton planter' families from Osnabruck unter Bergthell left Germany and settled in the area. They were followed by missionaries and other colonists, mostly from Hanover, who also settled in the region, founded New Hanover and Wartburg, and brought with them not only the Lutheran faith but the German language and culture. This little piece of Germany includes the towns of Harburg, Kirchdorf, New Hanover, Lillienthal, Schroeders and Hermannsburg. Wartburg itself is named after the castle in Eisenach where Dr Martin Luther translated the bible into German and the village crest also depicts the immigrants' arrival by sailing ship, the Luther Rose and the call to 'pray and work'. The land is mostly agricultural, although urban development is to be found in the towns of New Hanover, Wartburg, Dalton and Cool-Air. The communities living in the underdeveloped areas have extremely limited access to basic physical and social requirements, and very few economic opportunities. The present authority structures are unable as yet to provide for the improvement of basic living conditions urgently required by the rural inhabitants. 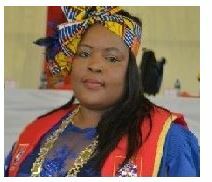 The uMshwathi Municipality has in the last two years identified a number of lead projects aimed at turning around the economy of uMshwathi. Amongst these projects are the rehabilitation and development of the towns in the Municipality, middle to high-income housing projects as well as the development of a road corridor linking the N2 and N3 and traversing uMshwathi Municipality. The possibility of developing new economic nodes in the Municipality is also being considered. Further objectives relating to a broadening of the Municipality's economic base involve identifying and supporting alternative economic ventures. The strategies adopted are developing investment opportunities, building on tourism initiatives and helping small and medium-sized local enterprises to succeed. The importance of the agricultural belt in uMshwathi cannot be overemphasized. Sugar Cane is the predominant agricultural pursuit, with some 250 farmers and two mills processing around two million tons of cane annually. Further export initiatives have seen this 'staple' expand to include avocado pears and kiwi- fruit. A key development objective is the focused implementation of land reform, so as to develop a vigorous farming sector in the Municipality. Strategies include finding means of helping poverty-stricken families to sustain themselves through farming; improving security of tenure in rural communities; and providing greater access to commercial agriculture to previously disadvantaged people. Manufacturing activities are mainly related to agricultural processing activities, notably sugar and timber processing activities, and to a lesser extent processing and manufacturing of food. The Wartburger Hof should not be missed for a taste of German hospitality. There are coffee shops, craft outlets, inns, guest houses and B&B establishments in and around the village centre, including wedding and function facilities at Thorpe Lodge, on a sugar farm just 2-kilometres away. The nearby settlement of New Hanover boasts one of our province's oldest schools and one of very few to be proclaimed a National Monument. Beyond New Hanover, some 100-kilometres of inter-linked trails with overnight huts have been developed into the singular experience of Blinkwater Trails by co- operation between conservation bodies and the timber industry. There is much of both historic and botanical interest on the plateau, with hikers skirting waterfalls and lakes while traversing scenic grasslands and indigenous forest. uMshwathi Owethu Lets Build Together. Provider of Municipal services for better quality of life for all. uMshwathi means little stream / river.